Criminals increasingly are taking aim at global supply chains, knowing that cargo crime is often unreported can offer greater reward for less risk than higher profile types of robbery of Cargo. Reports from Europe and North America indicate cargo thieves are becoming more active, more savvy and more brazen. Despite some success by law enforcement in breaking cargo theft rings, including schemes in Florida and New Jersey, reported incidents are on the rise. Cargo crime in the United Kingdom more than doubled in the first quarter, making the U.K. the leading hotspot for cargo theft in Europe, the Transported Asset Protection Association said June 10. TAPA’s Incident Information Service recorded 70 cargo crimes in the U.K. last quarter, followed closely by 69 incidents in the Netherlands, a 17 percent increase for that country. TAPA recorded 206 incidents altogether throughout its Europe, Middle East and Africa or EMEA region. The U.K. and Netherlands accounted for 67 percent of reported cargo crimes, TAPA said. Eighteen of the 206 crimes involved losses exceeding 100,000 euro, about $113,000. The total for incidents in which a loss value was reported was more than 13,250,000 euro or $15 million. The increase in cargo theft in the U.K. and the Netherlands accompanied a first quarter uptick in cargo theft in the U.S., according to data released last month by CargoNet. Reported incidents across the U.S. increased 7 percent in the quarter to more than 194 incidents, the division of Verisk Crime Analytics said. That number is expected to rise as more incidents are reported. According to the reports reviewed by CargoNet, cargo thieves in the U.S. stole more than $23 million worth of freight in the first quarter, a $14 million increase from the first three months of 2014. The average loss value increased by $83,329 per theft, CargoNet said in early May. In the U.S., cargo crimes were clustered in states with large ports and distribution centers: California, Texas, Florida, Georgia and New Jersey. The same apparently holds true in Europe, where the Netherlands is the largest maritime freight transport hub, followed by the U.K., though Germany handles more containerized cargo, by tonnage, according to Eurostat data. Rotterdam in the Netherlands is Europe’s largest container port, followed by Hamburg, Germany and Antwerp, Belgium. Felixstowe in the U.K. is the seventh-largest European container port, according to the JOC.com ranking of the 50 largest global container ports. In addition, the Netherlands is home to Amsterdam Schiphol Airport, Europe’s second-largest air cargo hub ranked by tonnage after France’s Charles De Gaulle Airport in Paris, according to Airports Council International data. London’s Heathrow Airport ranks third. In the first quarter, 20 freight-related thefts were reported in Germany, 10 in Spain, nine in Italy, and eight apiece in France and South Africa, TAPA EMEA said. A smaller number of crimes were reported in seven other countries in the region. Germany recorded the most crimes with a loss value of more than €100,000. Although the U.K. reported the highest number of incidents, the biggest and most brazen cargo theft took place in France on March 10, when 15 robbers stole $9.5 million in diamonds, other jewels and artwork from two security vans. Most cargo theft is much less dramatic and involves goods much easier to resell or fence than diamonds. In the first quarter, clothing and footwear and consumer electronics accounted for 15.5 percent of the 206 thefts reported to TAPA EMEA, followed by tobacco products, and to a lesser extent pharmaceuticals, cosmetics, car parts, household appliances and toys. The majority of cargo thefts, 83 percent, targeted trucks, and most occurred at unsecured parking locations. A total of 89 cargo vehicles were reported stolen, along with 81 cases of goods being stolen from vehicles. The number of hijackings rose from 15 a year ago to 17 in the last quarter, TAPA said. Only 3.3 percent of incidents involved theft from a facility. European shippers also share another problem with their North American counterparts: a growing number of “fraudulent pickups” by fake carriers. In Belgium alone, fraudulent pickups accounted for 31 percent of all reported cargo theft in 2014, up from 6 percent in 2010, according to a report by Wim Dekeyser, a loss underwriter, highlighted in a recent edition of TAPA’s Vigilant cargo crime update. Those reported losses and incidents are likely only small percentage of the total amount of cargo lifted and looted by criminals, much of which goes unreported. 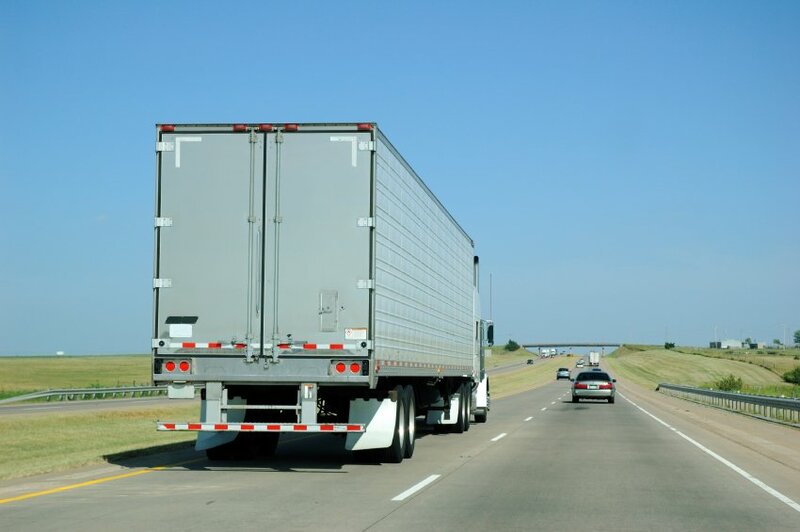 Many shippers and transporters don’t want to see their insurance premiums rise, and some transport operators may rather pay a claim for “lost or damaged” goods than confess to a customer that a load was stolen. “The level of cargo crime in the EMEA region and, indeed, globally is massively under-reported,” Thorsten Neumann, chairman of TAPA EMEA, said. In fact, the increase in reported incidents in the U.K. and the Netherlands may reflect the efforts of British and Dutch police to crack down on cargo crime and share information with TAPA’s shipper members, Neumann said. “This latest data for Q1 demonstrates more than anything is the growing importance our police partners in these countries are giving to tackling the problem of cargo crime,” he said. Article Compliments of William B. Cassidy.